Advocates are people who post positive content online about a business or a brand. They actively encourage others to try the product or service, are passionate about the brand and are loyal to it. Their relationship with the brand tends to be long-term, and they aren’t easily swayed by other brands. Advocates are unpaid; their motivation is to help their friends or to spread the word rather than to gain personally. Their recommendations tend to be highly trusted; however, their audience size and sphere of influence are typically limited. For hotels, brand advocates are guests who love your hotel so much they post rave reviews, share photos on Facebook and Instagram, and tell others about it at every opportunity. Influencers are people who post content online that influences the impressions, decisions, and behavior of a large number of people. Their opinions and the content they share may be negative, positive or a mix of both types. Typically, influencers are not as connected to the products they endorse as advocates are or even particularly loyal to them; the relationship is short-term and transactional. Influencers are often paid or incentivized to promote a brand. Because of this, trust in their recommendations is often only moderate even though their audience size is high. For hotels, influencers may include travel media and bloggers, celebrities and famous or prominent people, and others with large and loyal followings on social media. Why are advocates and influencers so important? 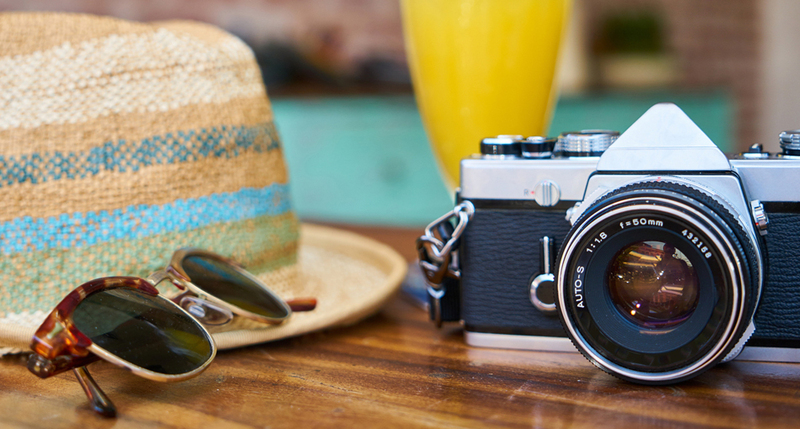 Consumers are much more likely to trust user-generated content over advertising, so this type of content is very valuable to hotels. 1. Increase reach. They can help spread the word about your hotel and ensure that your news, special offers and value propositions are seen by a larger number of people than your usual marketing efforts. 2. Create demand: By sharing content and personally endorsing your hotel, they help build your reputation and make more people want to stay with you. 3. 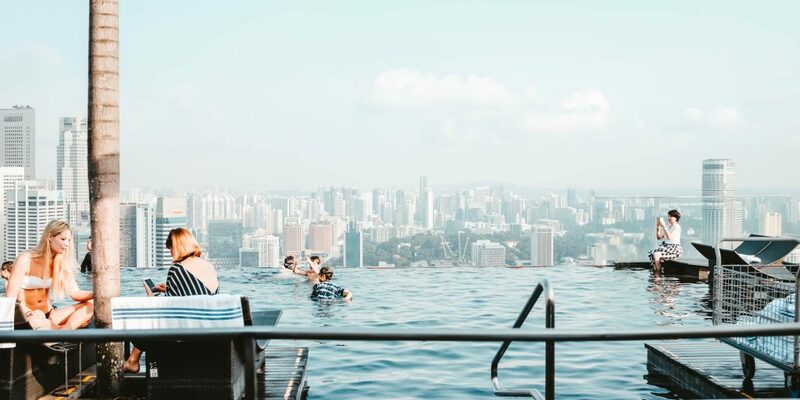 Drive revenue: The ‘social proof’ provided by advocates and influencers can help convert trip planners into hotel guests. 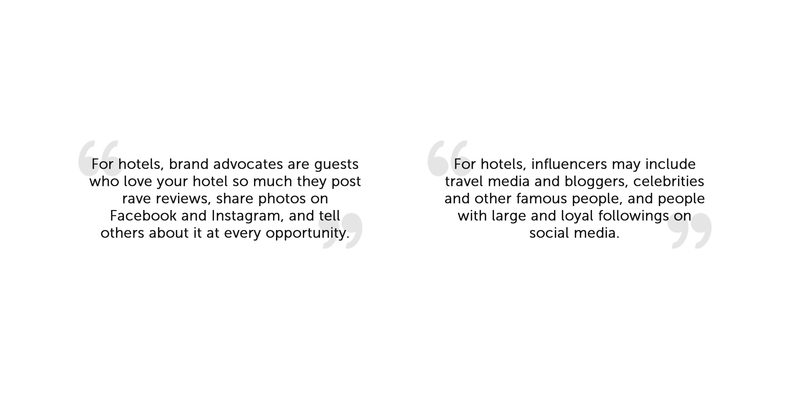 At the core of a successful advocate and influencer strategy is providing spectacular guest experiences that they will want to share and comment on. This begins and ends with service excellence. • Use online reputation tools to solicit reviews from your guests and gather Guest Intelligence from reviews, surveys and other feedback channels. Use the insights to prioritize operational and service improvements. • In-stay surveys allow you to identify issues guests may have while still in-house and take action to resolve them before they leave. • With guest messaging services guests can communicate with your hotel using the messaging platform of their choice and receive responses in real-time. Whether guests have a question or a complaint, they receive answers when they need them, and your hotel prevents negative reviews and earns more positive reviews. The more your guest experience is at the top of its game, the more successful you will be at encouraging advocates and influencers to create a wave of positivity around your brand.